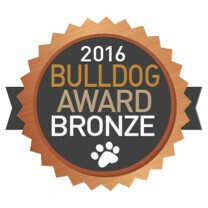 We’re thrilled to announce that RockOrange has been awarded Bronze in the category of ‘Best Use of Digital/Social for Cause/Advocacy/Corporate Social Responsibility’ for the digital work we executed on behalf of Miami’s Zoological Wildlife Foundation (ZWF) in this year’s Bulldog Reporter Digital/Social PR Awards. 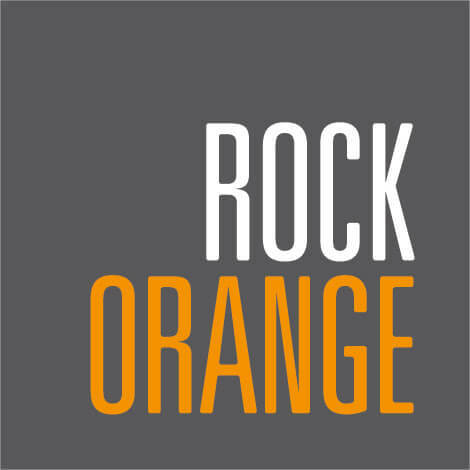 RockOrange was hired as the Agency of Record by ZWF in 2015 to help the brand find its voice, increase brand awareness and drive visits to the property. Through a series of content-driven digital strategies, we helped ZWF increase its online presence increased by 343 percent. Website traffic increased by 63 percent and the brand’s social media following shot up 67 percent. The increased digital presence and media coverage resulted in their ranking on TripAdvisor as the #5 Best Thing to Do in Miami, #9 Best Zoo in the World, and #4 Best Zoo in the U.S. Brand sentiment increased from 92 percent positive to 98 percent positive and brand negativity decreased 67 percent. RockOrange’s bronze is one of 48 honors awarded to companies who have made amazing strides in the world of digital and social media public relations and communications. Bulldog’s Digital/Social awards were by working and award-winning journalists from a number of different media outlets including The Washington Post, USA Today and The Oregonian. Scoring for agencies is based on the following criteria: creativity and originality, strategic and tactical brilliance, breakthrough communications approaches and of course the results of all efforts. 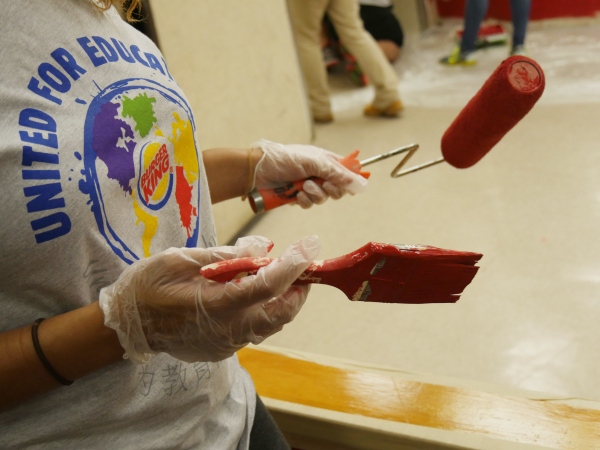 That was the call-to-action for the City of Miami Beach’s “Keep Miami Beach Clean,” the city’s first-ever anti-litter campaign, that RockOrange conceptualized and launched earlier this year. 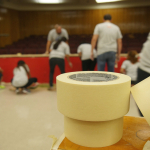 Targeting the younger, millennial generation and regional day-trippers, the campaign was aimed at getting people to make a connection between keeping the city fit by exercising common sense and tossing trash and recyclables in the right place. 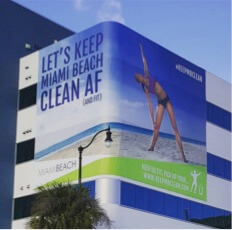 The content was pushed out across multiple channels, online and offline, including: billboard style posters throughout Miami Beach, including buildings, bus shelters and on the back of buses; online via the City’s social media channels, and; in print and broadcast advertising spots. 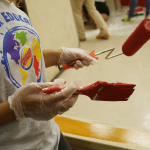 Recognizing Miami’s diverse demographics, the content was produced in both English and Spanish language to make sure that the message was received loud and clear by everyone and that language wasn’t cited as a barrier to keeping the beach clean. To amplify the campaign message further, RockOrange designed a character – Mr. MB Clean – that would personify and act as a visual spokesperson for the campaign. 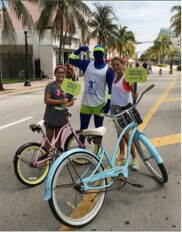 We took the character to a series of Miami Beach community events including Commissioner Michael Grieco’s Spring Break Cleanup, Winter Music Conference, Spring Break, Flotopia, Ciclovia and the Fire on the Fourth Festival and had him interact with the public for photo opportunities and to promote the campaign message. The campaign continues to be a huge success. The ‘Clean AF’ semi-viral launch ads drove awareness, shares and heated discussions with over 200 thousand interactions in social communities. 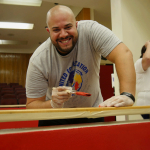 Overall sentiment was positive, with an article in Curbed Miami running a poll that gave the ads an 80 percent approval rating. And Mr. Clean proved even more popular. Photos from the character’s appearances, combined with snaps of the ad spots have driven over 780 mentions online and 8.2 million impressions to date using the campaign hashtag, #KeepMBClean. Additionally, through the event activations over 10,000 people have been exposed to the campaign. As Mr. MB Clean continues to attend events and the broadcast commercial rolls out on local and regional networks and during previews at South Beach’s Lincoln Road Mall movie theater, those numbers are only set to increase. If Sara sees Johnny and thinks, “Johnny’s such a great leader”, then when Sara interacts with Johnny, she’s going to treat him as such—likely admiring his accountability, decisiveness, inspiration and confidence (you know, the stuff of great leaders). Then, when Johnny picks up on how Sara treats him, he will likely react in ways that align with Sara’s expectations. And the two go back and forth, reinforcing Sara’s assumptions and Johnny’s behavior. • We want them to be leaders and innovators. • We want them to feel and act like owners. 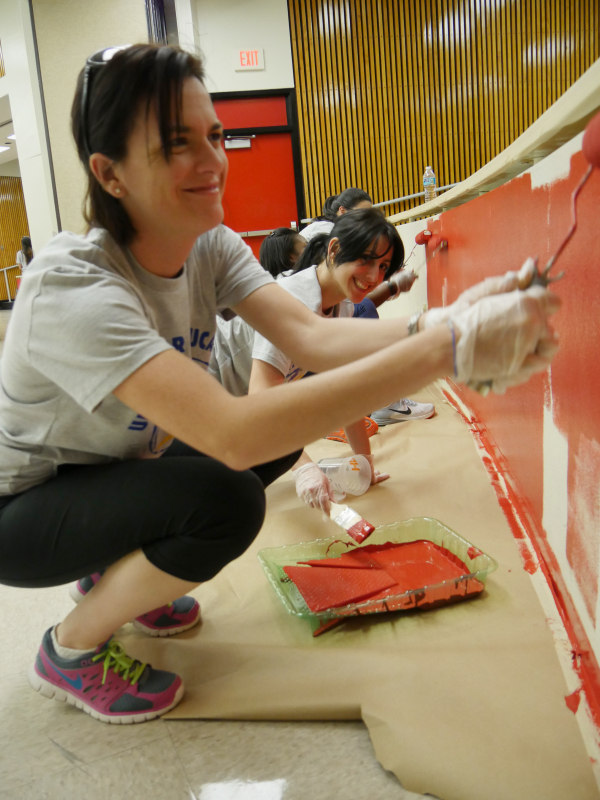 • We want them to create fresh ideas and feel they are in a safe environment to share and grow those ideas. • We want to create a system that keeps them up to speed on the latest trends, tools and resources, and updates in agency processes and capabilities. • We want to equip them with the information they need to be the badass marketers we want them to be. But how do we do this? We decided to take ‘em back to good ol’ university. That is, we chose to figuratively relive the classroom setting: hosting captivating public presentations built collectively using the “team project” approach (except everyone participates; if you were that person in college that ducked out of your group project and did jack, you can’t sit with us), listening and learning, asking questions, participating in meaningful conversations, and sure… enjoying the occasional (ahem, daily) celebratory libation after class. 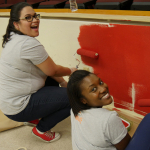 Welcome to “RockU” — a 20-week program filled with “snackable” 30-minute and in-depth one-to-two hour courses and sessions every couple of weeks. “RockU” focuses on further developing our RockStars to help them reach their highest potential as communications professionals by tapping expert team members in multiple focus areas to educate the team. Basically, we encourage them to “share the knowledge” with the rest of us, because well… duh. We’re approaching week seven in our program and, as Dean of “RockU”, I’m happy to report overwhelming participation and positive reviews for each of the sessions so far. While there is room for improvement (there always is), I know the program is working because the guts and glory of the agency, our RockStars, lead it. From leadership members to FOOCs (fresh out of college), these guys are creating meaningful, interactive sessions around topics like Research and Data, Project Planning, and Productive Brainstorming that are setting and raising the bar for what the “RockOrange Way” is. 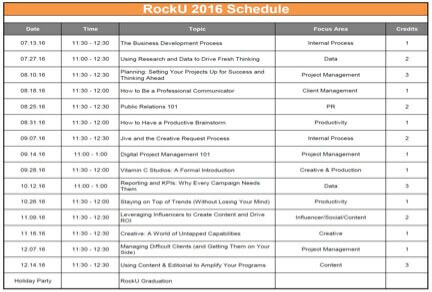 Check out our “RockU” course schedule below and share your thoughts with us on session and program suggestions! Get at me here so we can challenge the team with new topics and continue to raise the bar (and have post-class cocktails). And let us know if you’re interested in becoming our next RockStar… we’re always looking for great talent. We are excited to announce that RockOrange and our partners at Cotton Inc. have won PR News’ Agency Elite Awards for our SOLID and FRESH work for Cotton’s 24-Hour Runway Show, where we set a Guinness World Record for the World’s Longest Fashion Show. From the pitch to the runway, we worked with Cotton Inc. to elevate their signature program, Cotton’s 24-Hour Runway Show on Miami Beach’s Ocean Drive. We created a multi-pronged strategy for the fashion show that increased live-stream viewership and generated 636 media hits, representing a 479% increase in coverage from the previous year and reaching an audience of 579 million viewers. Cotton’s 24-Hour Runway Show was featured on national outlets including Good Morning America, E! News, Extra, and many more. The PR News’ Agency Elite Awards salute the year’s most outstanding communicators, initiatives and organizations that set benchmarks of excellence in client PR efforts. We are honored to be among the list of recipients that were recognized at the Platinum PR Awards & Agency Elite Awards luncheon on October 26 at the Marriott Marquis in New York City. Please see the complete list of this year’s winners here. After being honored with the New Agency of the Year award last year, we are thrilled to be named as a finalist once again in the 2015 Americas SABRE Awards, this time for the agency’s FRESH work for Cotton’s 24 Hour Runway Show, in the Fashion & Beauty category. SABRE Awards finalists include around 300 campaigns — selected from more than 2,000 entries — in this year’s competition, which recognizes superior achievement in branding, reputation and engagement. It awards campaigns that demonstrate the highest levels of strategic planning, creativity and business results. For Cotton’s 24 Hour Runway Show, we developed an integrated communications plan, elevating the show by leveraging top celebrity talent and creating continuous conversations with influencers and fashion trendsetters. Not to mention, we help set a Guinness World Record as the longest fashion show in the world. The show in Miami Beach demonstrated what happens when fashion and our favorite fiber unite on the catwalk, and did it in an exceptional way. Winners will be announced the night of the SABRE Awards event on May 5, 2015 at Cipriani 42nd Street, and we can’t wait. Wish us good luck! 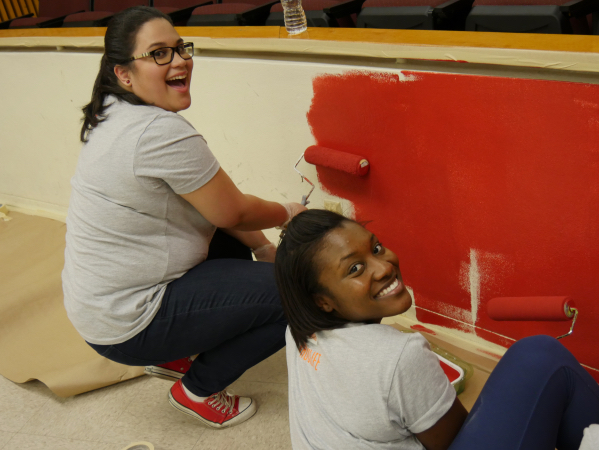 On Friday, April 17th, RockOrange participated in a day of service alongside one of our clients refurbishing Miami Edison Senior High School. 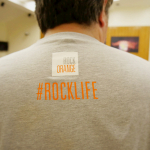 Ahead of the annual event, RockOrange provided the client with support, both on an internal and external front. 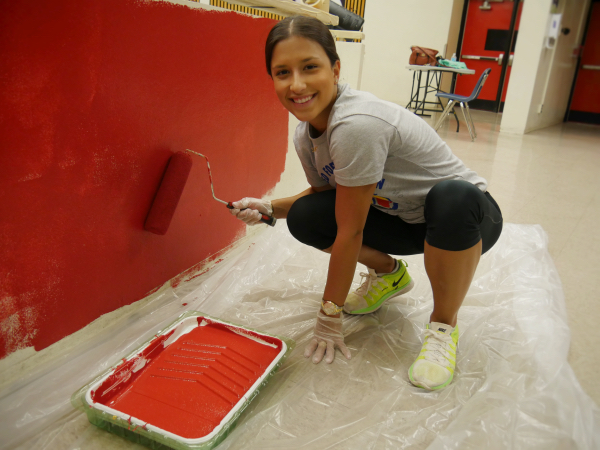 The team was proud and excited not just to collaborate to make this happen, but to join hundreds of volunteers to help make the historic high school shine, applying fresh coats of paint and improving the landscaping. 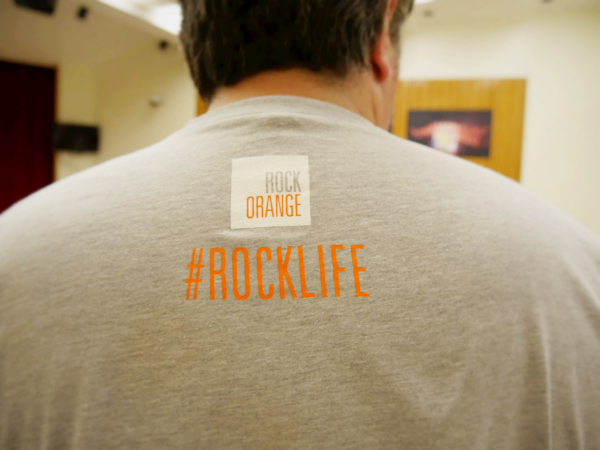 While we had a lot fun, RockOrange also takes corporate social responsibility seriously. 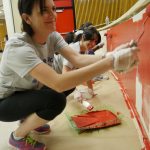 Giving back to the community is one of our value pillars; it’s something we do every year. 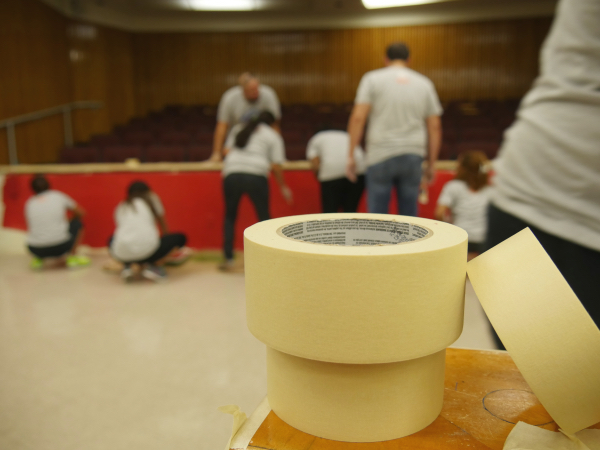 It’s a moment we take to make a difference in our home city, to get closer to the people we share so much time with, and a moment that can make us better as a team and as people. 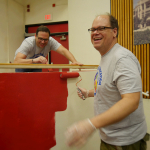 Most of all, we hope service days like this will inspire others to get involved in their neighborhoods and work to improve the communities they live in. 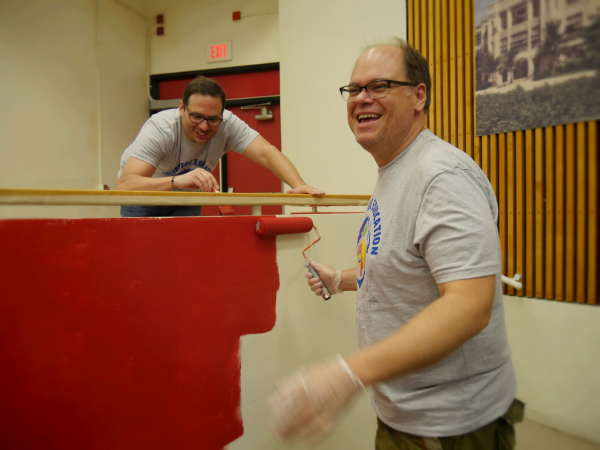 Being of service to others is something that begins at home, in your own backyard, but it doesn’t have to end there. 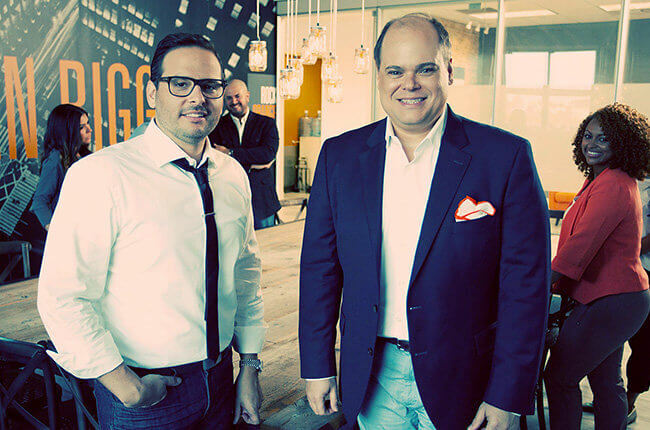 MIAMI, Oct. 1, 2014 – Public relations, marketing and digital firm RockOrange is honored and proud to have been selected as 2014 New Agency of the Year (Gold) in Bulldog Reporter’s Stars of PR Awards. 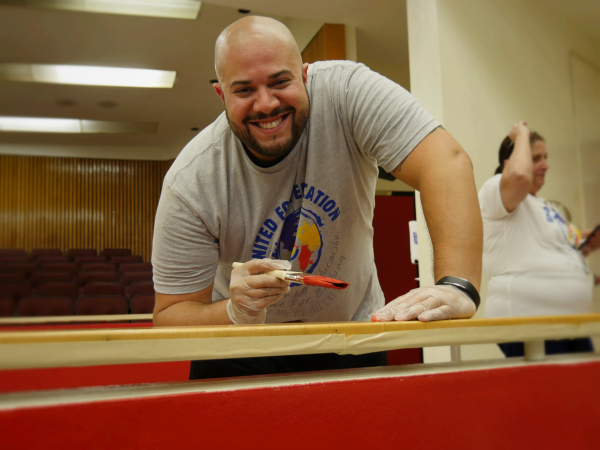 RockOrange principal and managing partner Miguel Piedra spoke on behalf of the agency and fellow principal and managing partner David Naranjo. The Bulldog Stars of PR Awards recognize the most outstanding achievements in PR, corporate and digital communications, celebrating public relations strategic and tactical prowess at the highest level. They are awarded by a team of journalists who select the winners from hundreds of entries in 33 categories. This has been a great year for the agency, which has been recognized by some of the top names in the industry. 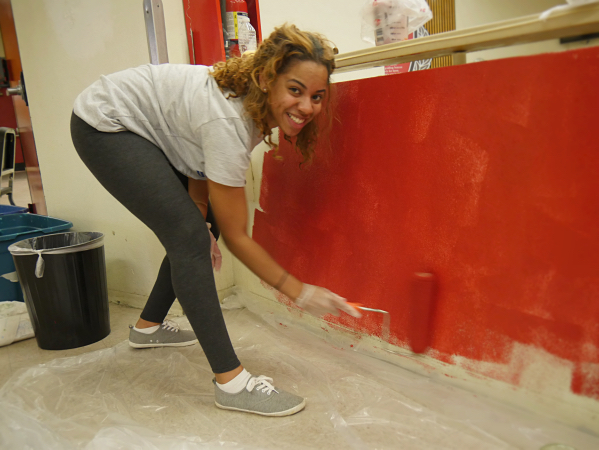 This includes The Holmes Report, which named RockOrange 2014 New Agency of the Year earlier this year, and PR News, which gave the agency an honorable mention as 2014 Small PR Firm of the Year in their PR Platinum Awards. In addition, RockOrange has garnered nominations for PR Daily’s Digital Awards and PR News’ PR Agency Elite Awards.